In most children the adult teeth begin to erupt around age 6-7. And in these tiny little mouths, large, adult-sized teeth show up in ways that look strange to parents. For example, when the lower front teeth come in I get a lot of questions. 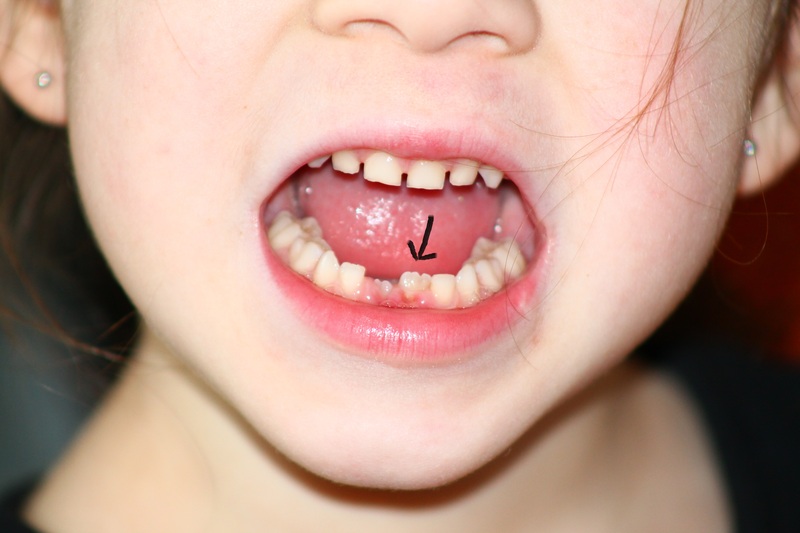 The two lower front teeth (lower incisors) will likely be the first permanent teeth that erupt in your child’s mouth. In many cases they begin to erupt even before the baby tooth has been lost. When this happens, it can look like creepy—like your child is developing a second row of shark teeth! Don’t worry, this is completely normal. 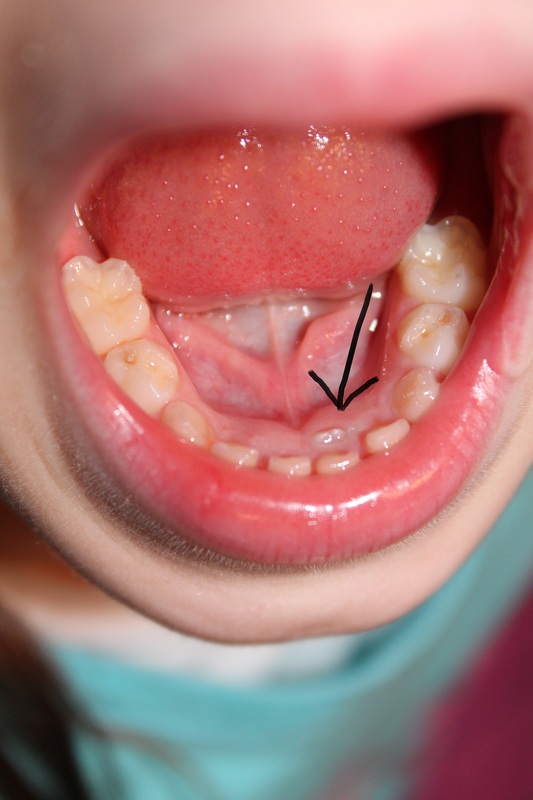 The lower incisors erupt lingually, meaning they erupt close to the tongue, from behind the baby teeth. Why isn’t this problem? Because pressure from the tongue combined with the growth of your child will push this tooth into its rightful place. Look at the progression of photos below. See the tip of the adult tooth? It’s in the floor of the mouth! Three months later the baby tooth has been lost and the permanent tooth is moving forward. At six months it looks normal.